The 3 children whose parents, siblings were murdered 7 years ago are suing PA, PLO for encouraging the terrorists and paying them salaries. The Fogel family, whose parents and siblings were murdered seven years ago in a shocking massacre in the Samaria community of Itamar, sued the Palestinian Authority and the PLO in the Jerusalem District Court for encouraging the perpetrators of the murder, financing them during their prison terms and paying them salaries. "Even to this day, the terrorists are receiving inflated salaries from the Palestinian Authority, which is contrary to all logic and justice. In filing this suit, we seek to send a message in the name of anyone with a human heart,” the Fogel family said, according to Yediot Aharonot. 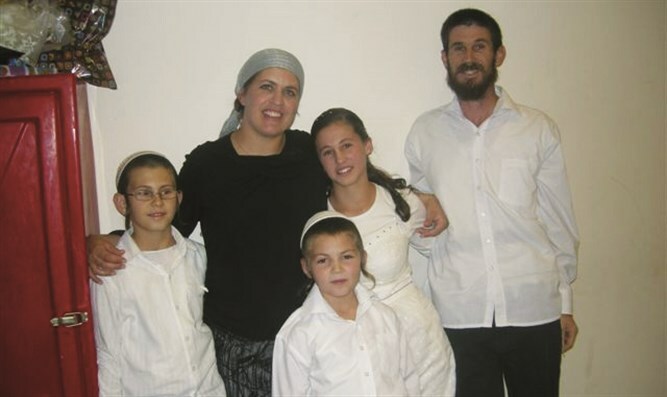 The two terrorists who carried out the murders of the Fogels and their three children, who were captured a month after the murder, were sentenced to 130 years' imprisonment each. Behind the lawsuit against the PA are the three family members, Tamar and her two younger brothers, the grandparents on both sides and the siblings of the parents. Yediot Aharonot quoted Elihai Ben-Yishai, brother of Ruti Fogel, who said: "From our point of view, the suit seeks to convey a message that each of the accursed hands that committed the massacre of our loved ones will not be let off the hook and will pay a heavy price." The family members are suing the PA for 400 million shekels (115 million dollars). "The ruling states that the courts must express the sanctity of the value of life, and it distinguished toward this purpose between the monetary compensation that expresses the value of the damage caused to the plaintiffs and punitive damages intended to express the court’s contempt for the actions of the defendants. In recent years, this ruling has also become more specific regarding acts of terrorism, "the petition stated.